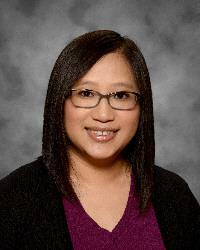 Miss Nancy Yang is the Media Technology Support Specialist at Liberty. She was born and raised in Hanford, Ca. She graduated from University of California, Santa Barbara, with a BA in Sociology and minor in Education. She enjoys reading and photoediting. Check out thousands of books on our District shared eBook system. Chromebook insurance is available all year long for the low price of $35. Click here for Chromebook Insurance form. Students are still able to use their Chromebooks at home even without wifi. Click here for Offline directions.